I have been called a charter school “lover” and a charter school “hater” in the same week. Are both true? Neither? I think we as a society must be pragmatic on charters. I recently had a conversation with my grandmother, who was a lifelong educator at a middle school in Saginaw, Michigan. She explained to me that based on what she had read in the newspapers and seen on TV— that charters schools had some promise. I think the jury is still out. In this post I will introduce my podcast on the education view on charters, include a new review of charters schools and student achievement released by the National Education Policy Center and then conclude with my comments on the new Edweek blog . First here is a link to my interview with the Educational View on holding charters accountability for equity. I based my conversation on the post Don’t Trust Charters More than a Sweaty Used Car Salesman (A Citizen Research Template) where I lay out a citizen research template for parents and other stakeholders to study and understand the equity context for any particular charter school or charter chain. Click the link in the tweet below for the five minute broadcast. The National Education Policy Center commissioned a peer review of the report by Francesca Lopez at the University of Arizona. Click here for the full brief. This report attempts to examine whether charter schools have a positive effect on student achievement. From a review of 52 studies that the authors considered superior (40 of them used in an earlier report),it finds charters are serving students well, particularly in math. This conclusion is overstated; the actual results are not positive in reading and are not significant in high school math; for elementary and middle school math, effect sizes are very small, ranging from 0.03 to 0.08 s.d. The report does a solid job describing the methodological limitations of the studies reviewed, then seemingly forgets those limits in the analysis. 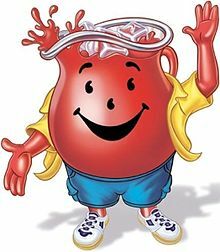 For example, the authors include lottery-based studies, considering them akin to random assignment, but lotteries only exist in charter schools that are much more popular than the comparison public schools from which students are drawn. This limits the study’s usefulness in broad comparisons of all charters versus public schools. The report also seeks to examine whether the effects of charter schools have changed over time. Despite finding no change, the authors inexplicably assert that there is a positive trend. Claims of positive effects when they are not statistically significant, exaggeration of the magnitude of effects, reliance on simple vote-counts from a selected sample of studies, and unwarranted extrapolation of the available evidence to assert the effectiveness of charter schools further render the report of little value for informing policy and practice. The first conversation was entitled Charters and the Profit Motive. It ran on 9/22/14. Julian Vasquez Heilig: Charters are quite diverse. Just the word can set off critics and supporters. The challenge, as I see it, is to decouple the persona of charters from the positive and negative realities of their diversity. Heilig: The types of charters and the chartering process varies greatly from state to state. So I think we have to decide as a nation what types of charters we really desire. For example, compare for-profit charters with community-based charters. The issue with for-profit charters is the same issue that we often face with corporate malfeasance—the profit motive can overwhelm honesty and integrity. We thereby sacrifice serving students regardless of their circumstance, an important aspect of our national social contract for public education. We must also consider the quasi-private policies found in many corporate charters that have implications for equity and excellence. By comparison, a charter school like Travis Heights Elementary in Austin, Texas, where the local school district, parents, teachers union, and faith community came together to build a community-based charter school, is a welcome contrast to corporate, profit-driven charter schools. Heilig: Charter governance differs across states. For example, in Michigan, 61% of charters are run on a for-profit basis. An important question for the nation is whether we think charters on a for-profit basis are a desirable approach. We also need to consider whether communities should be able to veto corporate charters and for-profit charters if they so choose. I also think we need to reframe our conception of choice. Why can’t communities access desirable characteristics in their neighborhood traditional schools? Why have Louisiana and Michigan created achievement authorities that turn a blind ear to community input? Who is actually doing the choosing for our communities? Also, we must continue to grapple with the question of whether the freedom that charters have received is being abused. Equity and access for students of different kinds and workplace conditions for faculty and staff are important questions that we are continually grappling with in our ongoing research. Heilig: I don’t think we should limit ourselves to the current state of charters. Instead, I think we need to consider what the evolution of charters will be. Yes it is true that in most states charters are not for-profit. But we already have plenty of data and research to understand the pitfalls of for-profit charters in Michigan, Arizona and elsewhere. The Detroit Free Press recently conducted several investigative reports of charters in Michigan that uncovered wasteful spending, lack of accountability, nepotism, and corruption. 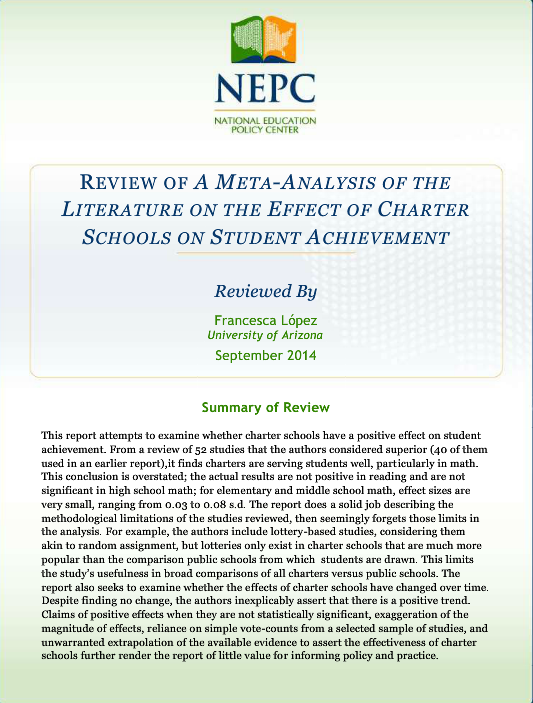 Further, overall charter performance was no better than traditional public school performance. Our final conversation on charters was What’s a ‘Corporate’ Charter? It posted on 9/25/14. Heilig: I use “corporate” as a term to describe the large chains and franchises that are dominating and leading the charter movement—KIPP, BASIS, Rocketship, Great Hearts, etc. They are schools that, as you said, are typically controlled externally to the communities in which they are located. Please blame Officer Darren Wilson for any typos. The answer is yes, more or less according to you. If indeed charters, on “balance” fare no better than public schools and the effect of their existence a) reduces the potential of public schools and b) opens the door for continued corporate privatization while at the same time reduces the potential for “community based” charters that you believe are desirable, what I’d the point of trying to do anything but simply remove them from the landscape? Ultimately, “good” cheer efforts, because they are privatization efforts would reduce the social contract of a free public education for all. I see you’re unwillingness to stand firmly on this principle as undermining the need for wrenching the education of children from the need to maintain a violent anti-democratic society toward building a society that promotes democracy and an economy in the interest of human need nit profit.